Li Kunwu, inimitable artist... ... that was not able to attend art school or have an academic training. In the amazing world of China today, Li Kunwu is surely the most inimitable artist of his time. 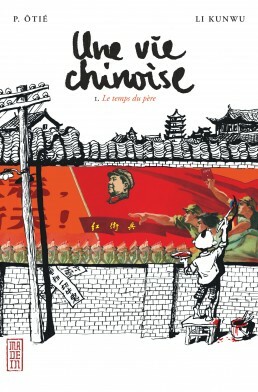 Indefatigable artist, painter, caricaturist, journalist for 30 years for the Yunnan daily paper (Yunnan Ribao), author of about 30 works in his native Yunnan and of eight documentary comic books in France, Li Kunwu is larger than life and his life is one with the history of China. 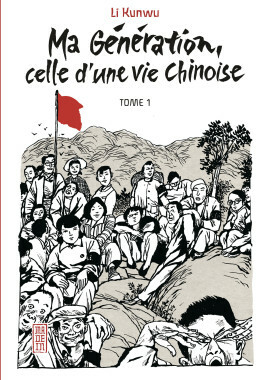 Born during the Mao years, he could have become a master of shanshui (landscape painter) like his peers, or of lianhuanhua, these horizontal comic books appreciated by the elders. But he doesn’t do anything like everyone else ; he has been drawing since childhood, taking up pens or brushes to make his way and tell it his way. Li Kunwu is of a generation that was not able to attend art school or have an academic training and thus is a self-taught artist. 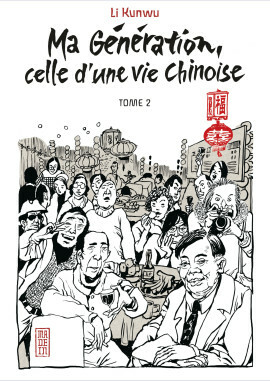 His introduction to comic books was by chance and he became known in France by his trilogy Une Vie Chinoise (Kana, 2011-2014), written with Philippe Ôtier. Translated into 15 languages, it tells the story of the life of Li, begun in 1955 and continuing on paper some 55 and three volumes later. It is the gripping witness of the history of the man, Mao’s artist-soldier, whose life spanned almost the whole Chinese saga of the last 60 years. This impressive work mixes his account of history and history, ordinary history and big History, and the whole in a unique style, carried out by an extraordinary artist. His second work, Bound Feet (2013), captures the horror of the story with its tormented lines and renders a biting view of this terrible practice that marked millions of Chinese women in their very flesh. 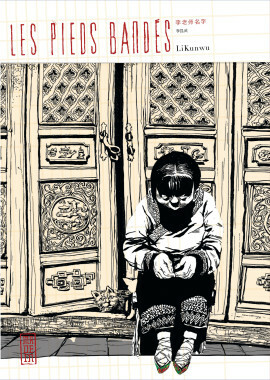 The fall of the last dynasty was in its death throes while at the edge of the empire, in Yunnan province, villages continued to bind girls’ feet until the 1930s. 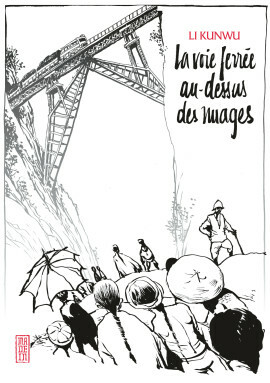 Li also studied the Yunnanfu railroad, built by the French in the early 20thc : a railroad under the clouds (2013). He dealt with the terrible period of the Japanese occupation in China but with a very original angle, i.e., photographic documents taken by Japanese photographers, Cicatrice (2014). 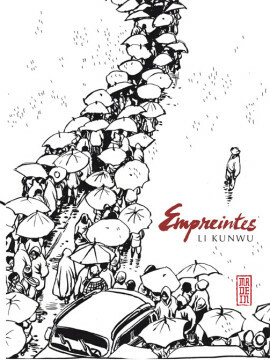 In Empreinte (2014), he dialogues with his son who’s gone to live in London and provides some keys to Chinese culture. Lastly, My Generation, in two volumes, returns in a more personal mode to the characters of his trilogy, A Chinese Life, sharing in greater detail the singular trajectories of his then comrades. 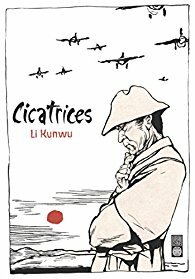 Li’s particularity, besides his exceptional life, is his mastery of an amazing number of codes : traditional painting, propaganda and press drawings, caricatures, clear lines, inks : he adapts effortlessly to all genres, winning prizes and touching many readers with his two parallel lives. In France and in Europe more generally it is his drawings that have made him famous. In China and in particular in Yunnan, it is above all his many illustrated books, such as Yunnan’s Eighteen Oddities, eighteen regional particularities that highlight the specificities of a province on the outer limits, far from the Chinese power center. An example is the famous Yunnan railroad that was going to open up China through Vietnam whereas there was not even an interior line towards Pekin. Today, Li Kunwu has achieved an artistic maturity in his relation to life that he expresses in large format drawings. These new works have opened up new possibilities : Cernuschi, the second biggest Asian art museum in France after Guimet, exhibited 14 of his works in January 2015. 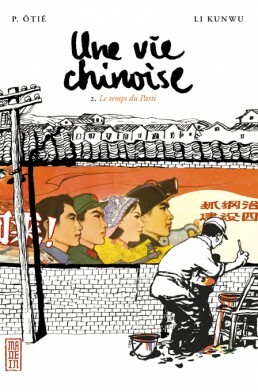 Shortly after, Angers opened its new cultural season with about 50 drawings in the prestigious Grand Theatre, and then the Michelin Foundation features the artist in a very innovative way, in Clermont (2015) and Shanghai (2016). Lastly, the Louis Vuitton group commissioned a prestigious Travel Book on Cuba (120 drawings), forthcoming in spring 2018. Li Kunwu wants to pursue this artistic path. Other exhibitions are on the horizon and monumental works are being sketched out. Li Kunwu will continue to surprise us.